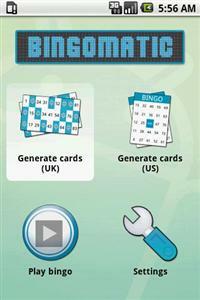 Play bingo games in group easily and everywhere! You can play with several devices, with printed bingocards downloaded from the web or you can just generate the bingocards and copy them in a piece of paper. Bingomatic will do everytihng.